Weight loss story: My weight loss journey has been a wonderful experience. 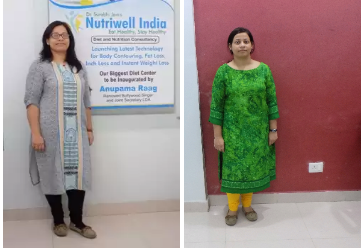 I still can't believe that with Dr Surabhi's diet plan I was able to reduce 15 kgs!! Weight loss seemed like a dream to me because of my super busy schedule. But Dr Surabhi and her great team made it possible for me. She helped me to better my lifestyle and helped me adopt a healthier lifestyle. I easily adopted to this healthier lifestyle without having to change my work schedule. I am really glad that I consulted Nutriwell. This is definitely the right place for all those who wish to lose weight. Check out out other website here!